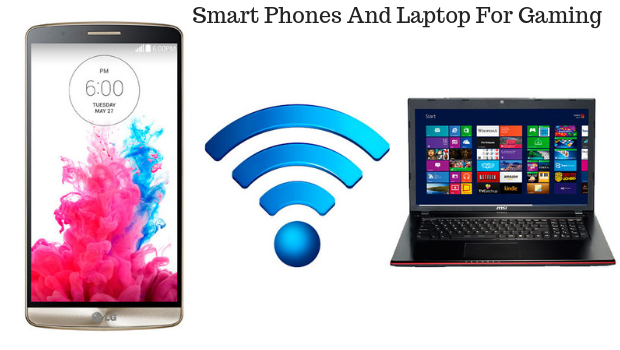 The school life and college life create a burden on the students and to relax the mind, to explore many things students buy a laptop or smartphones. There are personalities with endless interest over gaming phones and laptops. There are some components in the laptop and the smartphones which play a unique character for the gaming. Let me discuss in detail about the unique features for the laptop and smartphones to enjoy the spirit of the game. How to select a gaming laptop? Processor, RAM, Integrated graphics chips and the SSD are some of the components which show the efficiency of the laptop. The processors like AMD, 15, 17 R5 and R7 are the best one. The graphics card like the AMD radeon graphics provides the effective graphics support for the gaming. The 7730M model laptop also runs most of the games and it is of reasonable cost. The RAM requirement for the gaming laptop is 8GB or higher. If the RAM is high then the performance is high. The games require lots of space for hard drives and it is inevitable to buy the external hard drives. The SSD’s are much faster than the traditional hard drives. Try for the 256GB SSD or else laptop with the replaceable hard drive. How to select the best smartphone for gaming? Smartphones with balanced top hardware, sharp screens, and large batteries are some of the unique features which provide the peak performance. The 3D games and log session games demand high-level settings in the smartphones for the games. The visuals and the speed are the parameters to judge the performance of the smartphones. iphone XS Max or iphone XS, Samsung Galaxy note 9, iphone X, iphone 8 plus, Galaxy S9 and S9 plus, Sony Xperia XZ2, Razer phone, moto Z2 force, Google pixel 2 XL, and LG V30 are the top ten smartphones with good gaming features. To play the android games in the laptop the Android Emulator, NOX app player, Andy emulator, and amiduos emulator are some of the app which helps to play the android apps in the windows. Pokémon GO, clash of clans, The Room old sins, The Sims mobile, injustice 2, Iron marines, the badland, player unknown Battlegrounds, shadow gun legends are some of the android games which interests the school goers and the college goers to have fun in the busy study.